And, over time, as Barnum gained immense profit from his widely attended venture, he launched another phenomenon entirely untoward of the time: The Barnum & Bailey Circus—featuring an exhibition of mainly outcast and marginalized individuals. The trailer for this movie, produced by Twentieth Century Fox, leaves most to anticipate a feel-good, light-hearted inspiring biography of the showman sprinkled with sing-along songs and exciting appearances by Zack Efron and Zendaya, yet the movie goes beyond this in a profound way: it touches unexpectedly on incredibly heavy topics that turn out to be shockingly relevant. We all can stand to be reminded that it is with love—our greatest human weapon—that we can generate goodness and prosperity, lifting others to become far more than what they believe of themselves. “The Greatest Showman” discusses the supposed intrinsic desire for immense fame and recognition, class divisions, unequal power stances, gender and racial injustices, political differences and more, leaving viewers with much to reflect on. Barnum, born into direly poor circumstances, avidly dreams of a more ethereal world—closing his eyes to imagine “what the world could be,” instead of his current reality. As he becomes a man, working job after job without feeling purposeful, Barnum’s curious and adventuresome imagination brings him to craft a real-life dream world, betting his entire life’s savings to construct “Barnum’s Circus.” As the plot unfolds, we see that he conglomerates a team of human “freaks,” later producing a sold-out, jaw-dropping show that renders its audience hungry for more entertainment of the like. What’s truly unnerving and pause-inducing is that the core topics in “The Greatest Showman” aren’t too farfetched from ones that are being discussed on every talk show and news channel today; the issues presented in this film are strikingly characteristic of our world’s current social climate. And truly, there is much parallel to be seen between this onscreen musical and the widening divisions characteristic of today’s culture: we all can stand to be reminded that it is with love—our greatest human weapon—that we can generate goodness and prosperity, lifting others to become far more than what they believe of themselves. 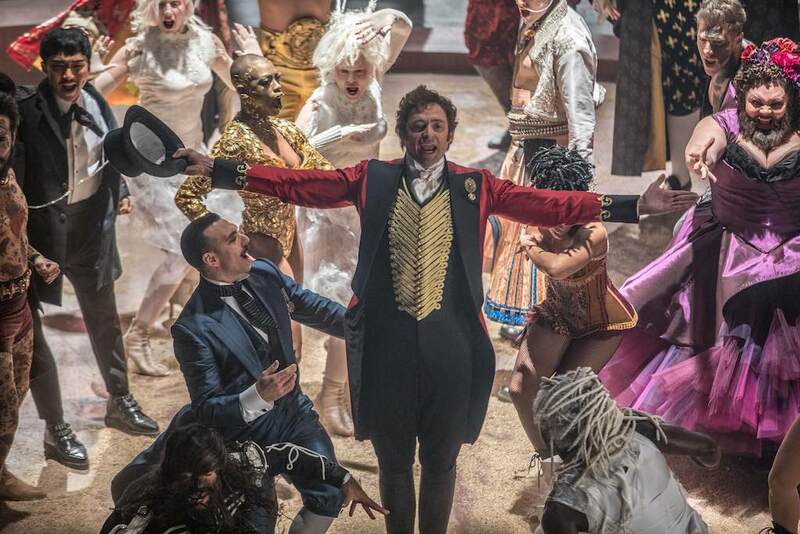 “The Greatest Showman” presents the ultimate cry for humanity: imploring everyone to, not only see the world for what it could be, but to also action change before it’s too late—especially when it can bring help to the oppressed and mistreated. Perhaps, like Barnum, we, as a society, have forgotten the most precious human quality and the immense power it holds: perhaps we have lost track of love. Just like Barnum’s legacy, still in existence today and remembered as “The Greatest Show,” how will you be remembered? What world are you going to invite those around you into—a world of contempt and hatred or a world of love and kindness? “The Greatest Showman” is now playing in a theatre near you. Season 2 of “Master of None” takes viewers on an emotional roller coaster in more ways than one. There’s one scene that has the internet buzzing and our hearts aching. Here’s why.